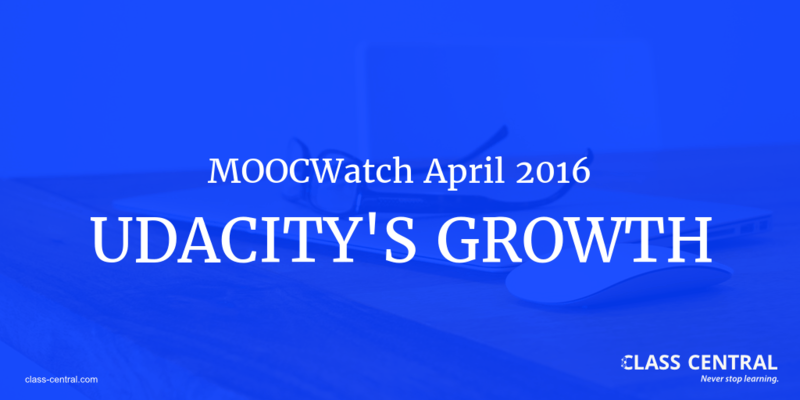 The MOOC world continues to grow and evolve. Udacity has a new CEO, a new office in China, and a new service in the United States. Coursera now has over 1000 active courses (most of them in the On Demand format) and two master’s degrees. The Learning How to Learn MOOC, taught by Barbara Oakley, has enrolled over 1.2 million students. Harvard Medical School has flipped its first-year classroom with MOOCs. More MOOC for credits initiatives have been announced all over the world, and more MOOC studies have been released. 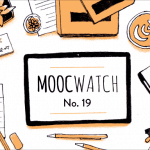 We have all this information, and a lot more, in this month’s MOOCWatch. Udacity’s COO Vishal Makhijani becomes its CEO, and founder Sebastian Thrun (who remains president and chairman) will focus on the company’s ed-tech innovations. Udacity has added a new service to its Nanodegrees (available in three U.S. cities so far) through which students can visit physical locations to learn with peers and mentors. Udacity has also opened an office in China, and it has started offering Chinese versions of its Nanodegrees. Podcast — Sebastian Thrun and George Zachary democratize higher education. New MOOC-based data science master’s degree on Coursera from the University of Illinois. Singapore gives every citizen over the age of 25 a $500 credit to take MOOCs. New MOOCs are being launched to teach medicine, and the Harvard Medical School has now flipped its classroom. Chronicle’s Jeff Young talks to economics blogger and George Mason University professor Tyler Cowen. The best new courses starting in April 2016. Georgia Tech forms partnership to expand its MOOC-based CS master’s degree in India. University of the People (an online, accredited, tuition-free university) has launched an online MBA program. The University of Colorado will award you six credits if you complete its data warehousing specialization on Coursera. Korean universities start offering academic credit for taking MOOCs. Eight universities (including Rice University, the University of Edinburgh, and Hong Kong University of Science and Technology) form an alliance to grant credit for taking MOOCs. 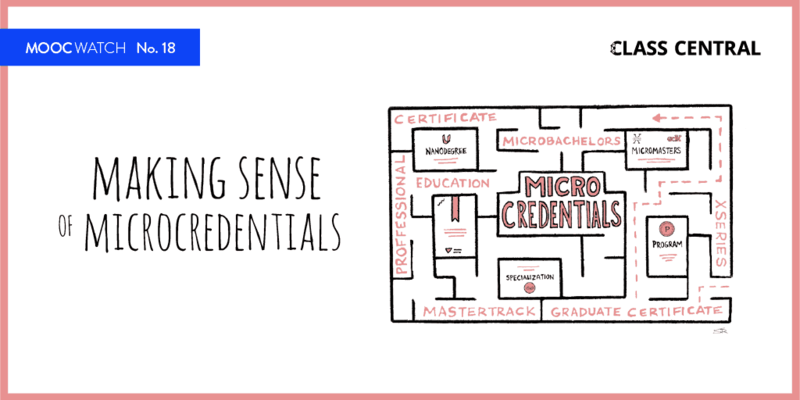 Six large universities establish a new MOOC portal to offer low-cost micro-credentials. MOOCs Turn 4: What Have We Learned. A list of 625+ free online courses starting in April 2016. The list of 76 new courses added to Class Central in March 2016. Our updated list / guide of all the ways to get academic credit by taking MOOCs. Open SUNY, the online degree system that offers courses from 64 SUNY campuses, has received a $2 million grant to improve online students’ success. 10,000 kids (ages 10–12) will take a MOOC by the University of Groningen. The MOOC will introduce students to topics like astronomy, law, biology, psychology, medicine, philosophy, and history. Reimaging Education: MOOCs 2.0 by edX CEO Anant Agrawal. New York Times columnist Nicholas Kristof and Pulitzer Prize winner Sheryl WuDunn have a new Udemy course called How to Make a Difference. Astrophysicist Neil deGrasse Tyson has two online courses on Udemy. The Teach English Now! Specialization from Arizona State University has received a Coursera award for having the highest completion rate (20%). Insightful article on why MOOC completion rates can be a misleading measure of quality and learning. An article summarizing Class Central’s SXSWedu panel discussion on using MOOCs for teacher training. MIT has released a new report with recommendations on advancing online education. 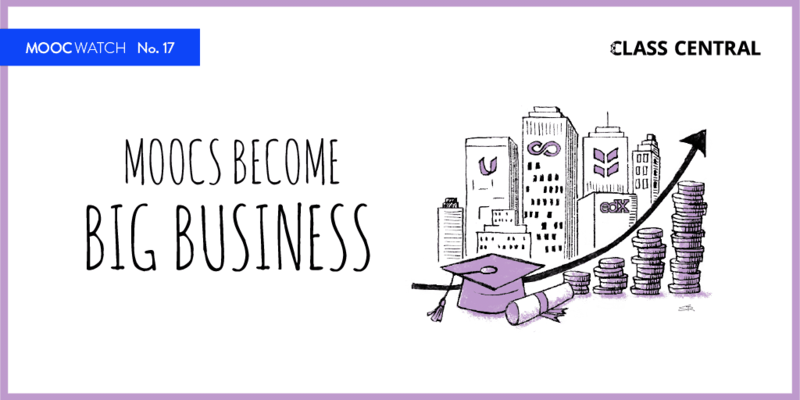 New models to transform education by Udemy CEO Dennis Yang. Coursera has reached 1000 active courses and is experimenting with an Honors certificate. Professor Barbara Oakley’s MOOC, entitled Learning How to Learn, has enrolled more than 1.2 million students. Coursera has released an infographic of the learning behaviors and demographics of its 18 million students. A new Deloitte survey reports that the percentage of companies that feel comfortable incorporating MOOCs into their learning platforms rose to forty-three percent this year, from thirty percent last year. The Open edX 2016 conference will take place at Stanford University on June 14–17. It will feature panels, tutorials, lightning talks, workshops, and a hackathon. Thanks billion Class Central . Very consize and useful info . Still there are many lazy people who do not wish to understand online .